How far will you go with your super power in order to protect innocents? Mathilda Brandt is one of the Empowered, humans who possess extraordinary abilities. In order to help her family, especially her dying grandmother, Mat agreed to work for a secretive government agency and infiltrate the Scourge, the world’s most notorious super-villain organization. Now she leads a cell inside the Scourge, and her agency bosses want her to risk all to reach the inner circle of the Scourge. But when her cell uncovers man-made biological horrors created by a global corporation at the cost of innocent lives, Mat vows to put an end to the monstrous creations killing children and threatening the world. 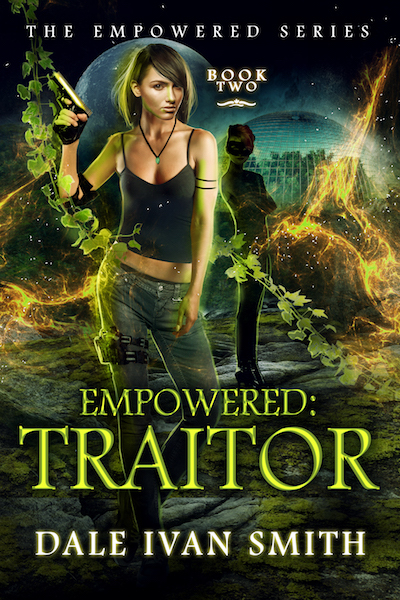 Empowered: Traitor is the second novel in Dale Ivan Smith’s The Empowered Series, following Empowered: Agent. If you like reading about heroes and villains, and a strong female protagonist, you’ll love Empowered: Traitor.